115 Days ’til 40: Mute Monday | Fortuitous Forty!!! Because sometimes words are not really necessary. Look like you have been out in nature under weekend – hope you will great a good start on your week. Very fine image, 400…all the little ‘seeds’. 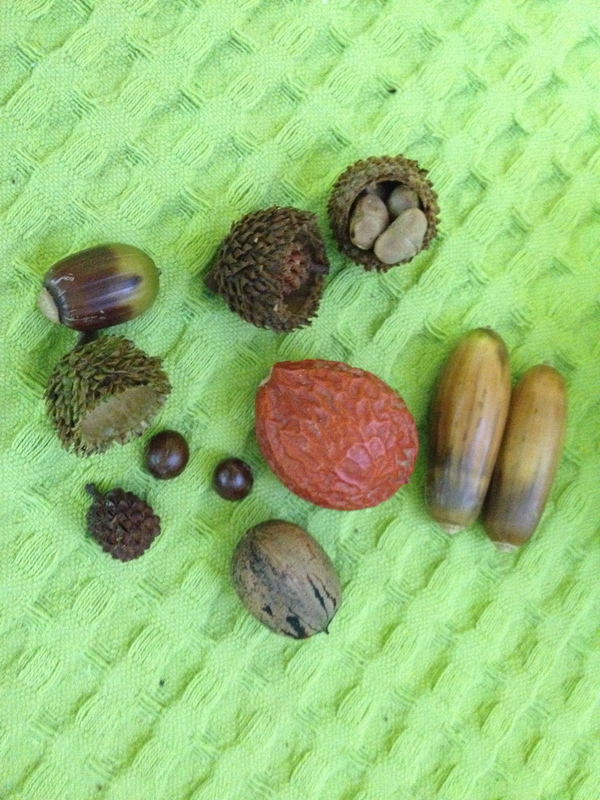 Interestingly, for all the oak trees in my nearby little park, I haven’t found one acorn…perhaps the squirrels are stashing them all for a long winter? Thank you! We have found quite a few, but we do not have so many squirrels in our neck of the woods! Guess you’re feeling a little “nutty” today. That is a common ailment on Monday in my world, as well. I hope your week is a pleasant and profitable one. Thank you so much!!! This is really kind of you!!! 🙂 You made me smile today!!! Those look like durians but it’s not found in any other parts of the world except Asia… So…. WHat are those? I am not sure what they are – good question!